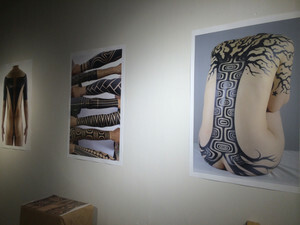 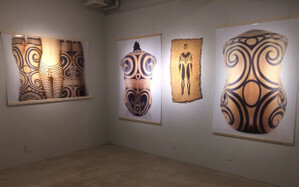 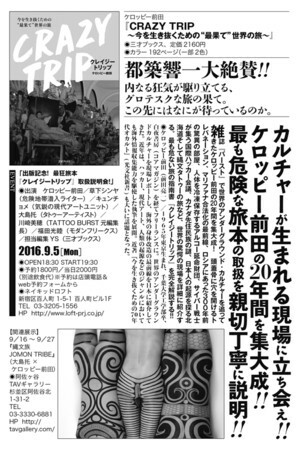 “JOMON TRIBE” is a collaborative art project between tattoo artist Taku Oshima and photographer Ryoichi Keroppy Maeda, in which the patterns of Japan’s Jomon period (14,000 – 300 BCE) are inscribed upon real human bodies as modern tattoo designs to show how the primitive spirit of humankind will become a new identity to survive the postmodern life of the 21st century. 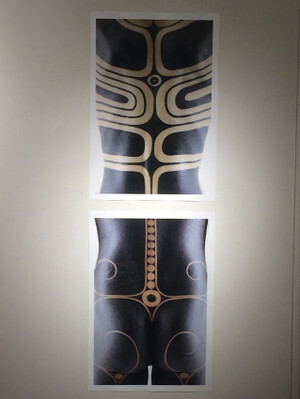 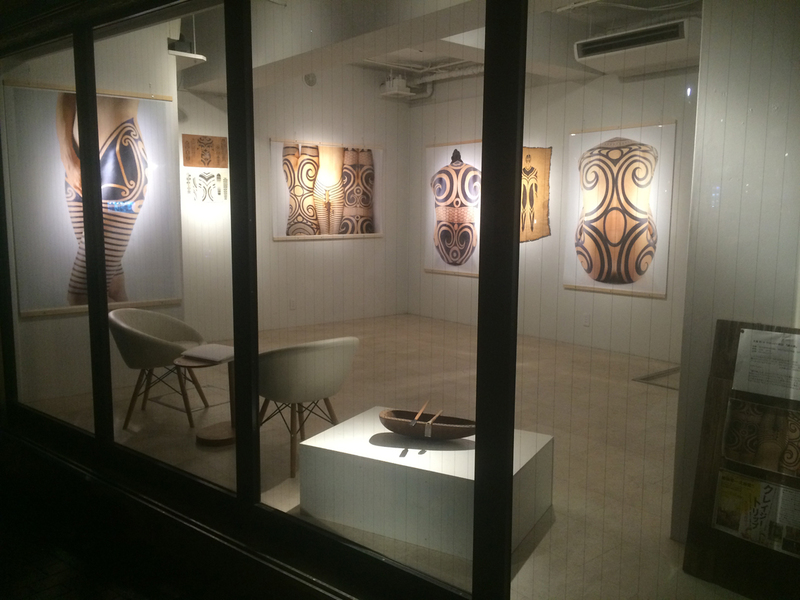 This project is the practice of “modern primitives” in Japan today. With the dream of traveling around the world, in 1993 Taku Oshima first set out to visit India, where he became interested in tattooing and later went on to become a professional tattoo artist. 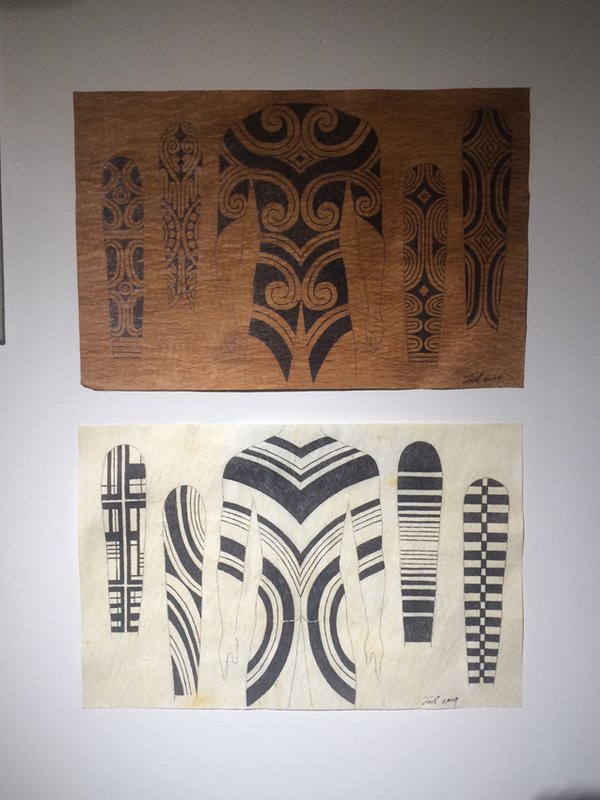 Now, he specializes in blackwork and tribal patterns, and has been traveling across the globe to research the remnants of tribal tattoo practices and then apply the findings of his research to modern tattoo designs. 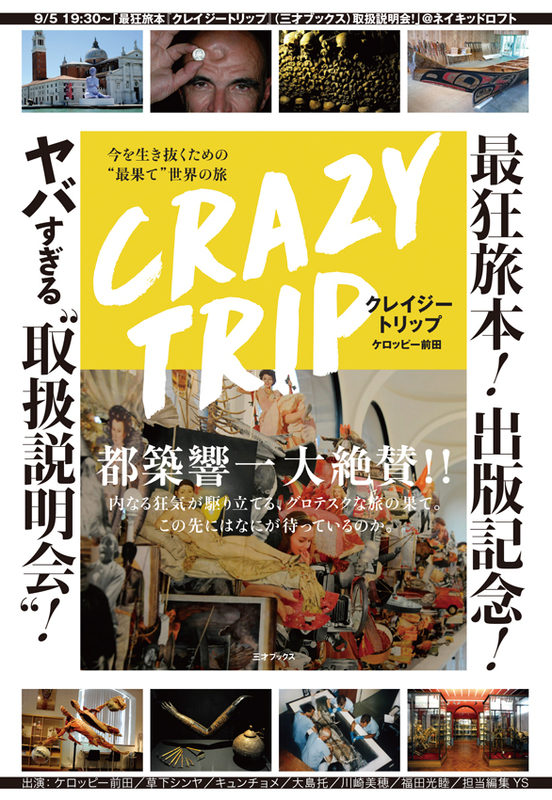 Ryoichi “Keroppy” Maeda is a photographer and journalist who has been reporting the cutting edge of underground culture worldwide since the mid-90s. 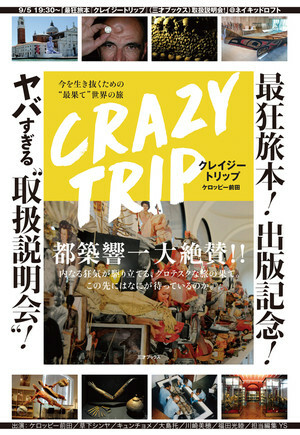 He is well known for his remarkable works in the legendary magazine “Burst” and other publications. 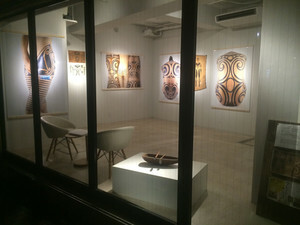 From 2005, he began holding exhibitions as an artist and curator. 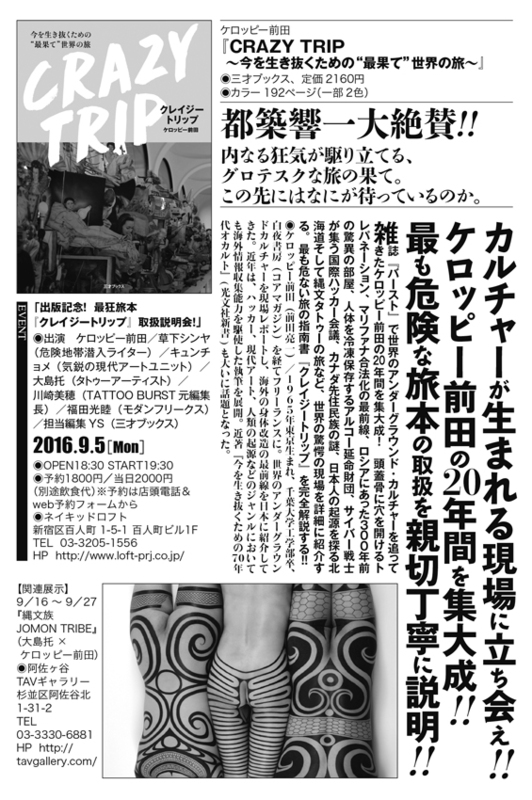 He has been organizing a one-day art school event called “Occupy School” since 2014, and serves as chairperson of the NPO Human Being Club.